Famous for its rugged landscapes, frequently used in film and TV, Devon offers a huge offering of potential encounters. Saltram House at Plympton is said to be haunted by a murdered maid who roams the property, gliding across the floor and disappearing through solid doors. There have also been reports of ghostly child sitting on a chair. Demonic hairy hands are alleged to be responsible for a number of crashes, some fatal, on the B3212 between Princetown to Two Bridges. The same pair of hands were witnessed clawing at the windows of a parked up caravan around this same spot. Dartmoor itself has an incredible number of reported sightings and experiences associated with it including highwaymen, flickering lights, a vanishing cottage, large black hounds and phantom pigs. Once you’ve located your ideal haunted hotel, Devon offers a wealth of fantastic places of interest to make your stay one that you’ll never forget. 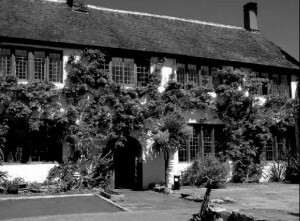 We feature just some of the most haunted hotels in Devon. 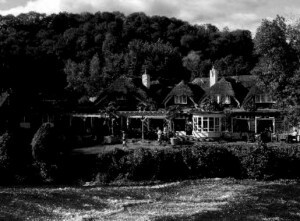 If you know of a haunted hotel in Devon that we’ve missed, we’d welcome your suggestion. Just click on the ‘Contact Us’ link in the footer at the bottom of the website.